Why You Need This: The Honda CL / SL / CB350 engines are tough little machines, and we know of some 350's with thousands of miles on the clock that still run strong. Yet all engines need to be overhauled eventually as oil leaks happen and compression numbers drop. The good news is many Honda CL / SL / CB350 engines do not need an over bore on the cylinders as they are within the factory service limits for a re-ring. 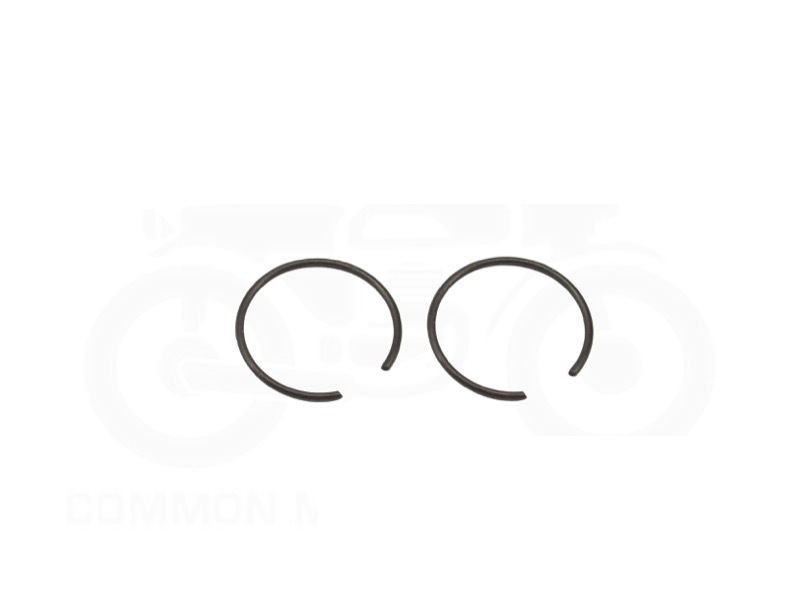 If your cylinders measure up to be within the service limits (page 26 in the Honda Factory Service Manual), then a light hone followed with a fresh set of piston rings will get your Honda CL / SL / CB350 back to factory spec. 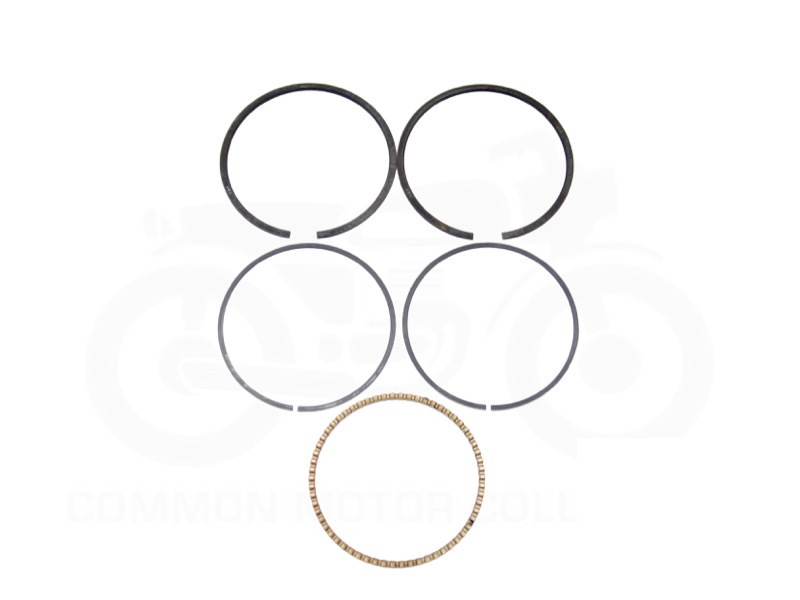 This piston ring kit is designed to fit the factory Honda pistons in standard size (64 mm) used in the Honda CL350 Scrambler / SL350 / CB350 twin cylinder engines engines. 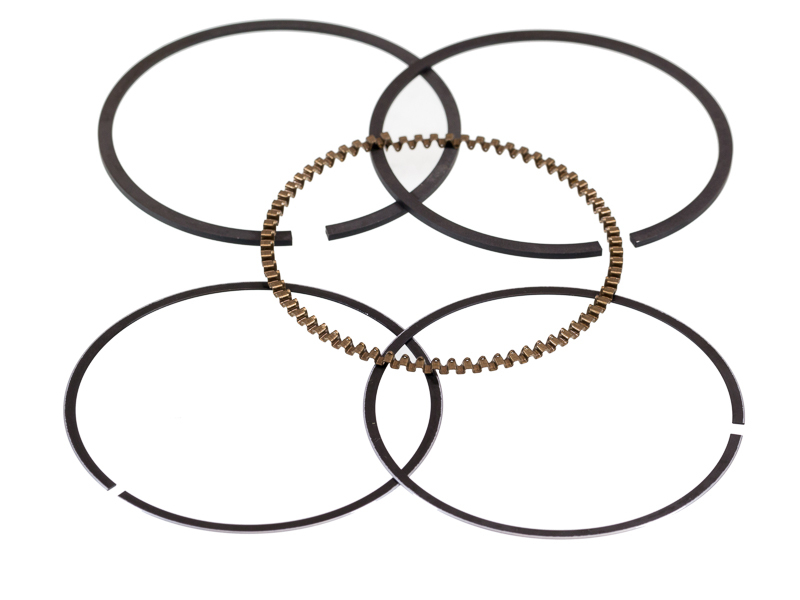 This modern piston ring set includes an easy to install three piece oil ring (no more brittle 1 piece ring) along with factory style compression rings. Piston ring sets are sold individually, one set per piston, you will need two sets per engine. We highly suggest adding the optional new wrist pin end clips and a fresh overhaul gasket kit to finish the rebuild right. Installation Tip: Make sure to check the piston ring end gap on the compression rings prior to installation. Average gap is 0.008" (.2 mm) to 0.016" (.4mm) with a maxim gap of 0.032" (.5 mm). Three piece oil ring is installed with the wavy ring first then the thin thin rails placed on the top and bottom of the spacer. Top two rings are specific to each groove, the grey ring (1R) goes in top and the black ring (2R) is the second; these should be installed with these markings facing up. Once on the piston, rotate the open ends of all the rings 120 degrees apart from one another. Thoroughly oil the rings and the cylinders prior to installation.